Take your glow up a notch! 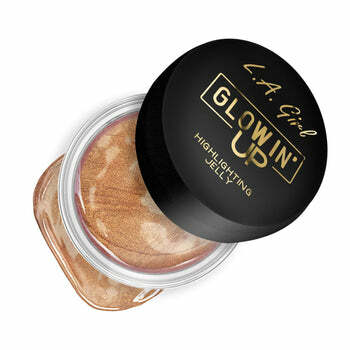 Glowin’ Up Highlighting Jelly is formulated as a water-based gel for an extra dewy glow. Special glossy polymers provide a wet-looking sheen that dries down to a long-wearing, highly-pigmented shine. Available in eight, bouncy shades.